Six simultaneous construction projects on the Caltech campus require a balancing act on the part of the construction team. 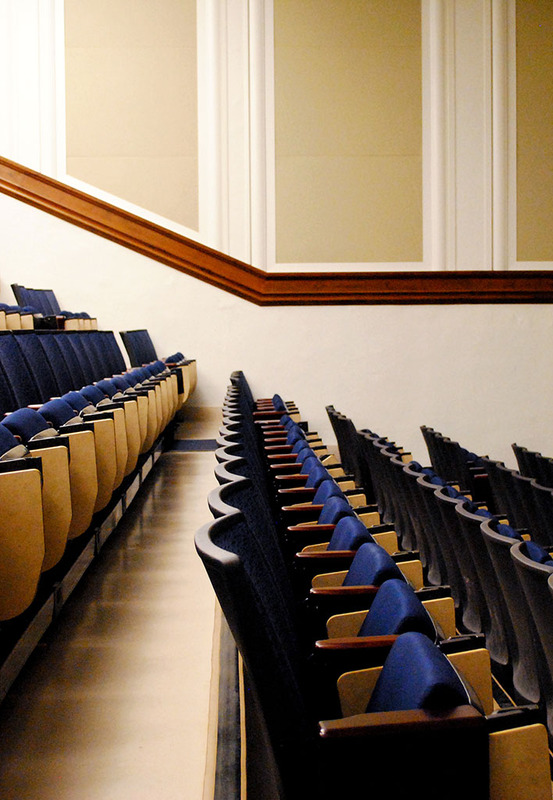 Managing a single construction or renovation project on a college campus can be difficult, due to the extra consideration given to possible disturbances of lectures and student activities. When construction takes place in multiple phases in various locations throughout campus, the situation naturally warrants additional preparation. 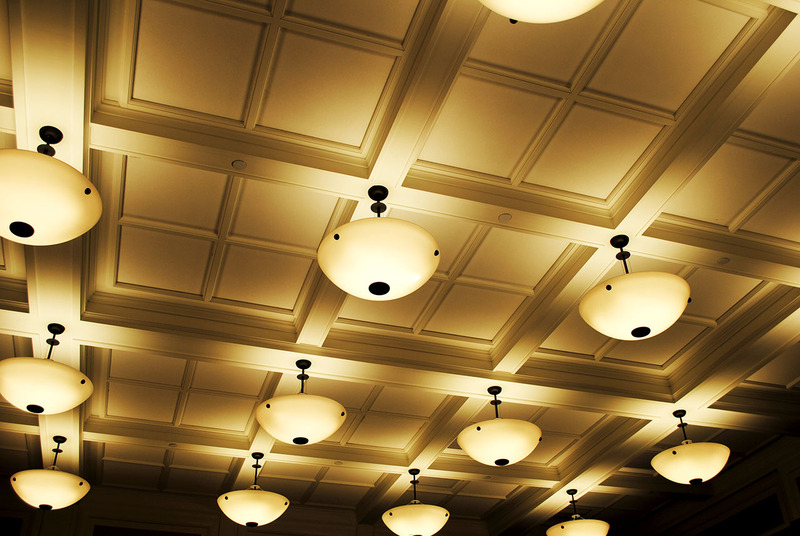 Six simultaneous projects have been underway at the California Institute of Technology (Caltech), a private research university located in Pasadena, California. Undertaking any major construction project at any learning institution necessitates taking such special considerations; the six projects at Caltech likewise needed to avoid disturbing campus life and to preserve the campus’s historic architecture. The projects, which include the construction of new biological labs and lecture halls, were managed by Driver SPG, an independent company of C.W. Driver, a general contracting and construction management firm, specializing in higher education, health care, entertainment, and military facilities. One of C.W. 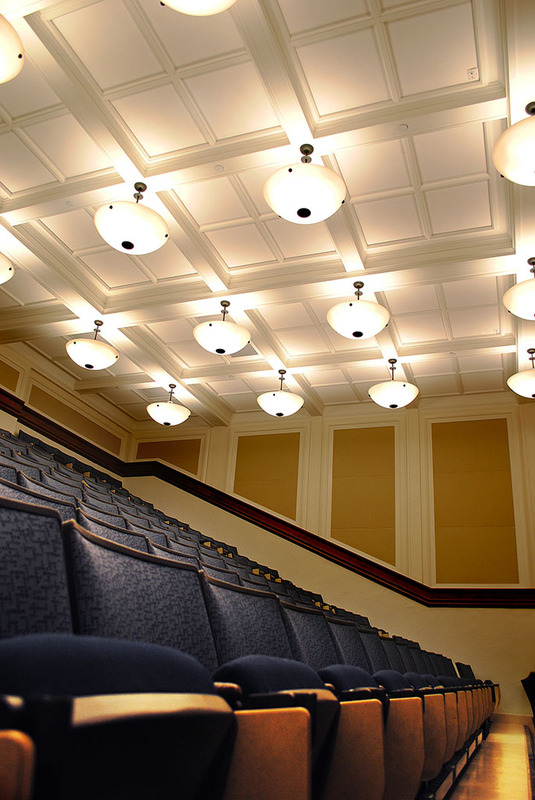 Driver’s first projects on the campus was renovation of the Richard P. Feynman Lecture Hall, which was built in the 1920s. The hall is one of the most historic places campus, as it is where Richard P. Feynman delivered his legendary “Lectures on Physics” from 1961–1963, but it had not changed much since it was first constructed. Therefore, much consideration was given to the historical significance of the room prior to construction. 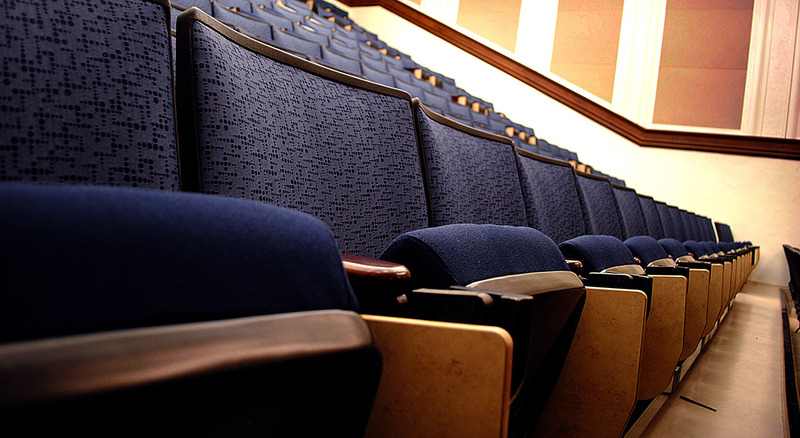 The hall still had its original flooring, lighting, and folding wooden chairs. The capacity for electrical systems that would enable video projection and the use of other electronic teaching tools was very limited, and there were no nearby outlets for students to plug in their laptops and other electronic devices. 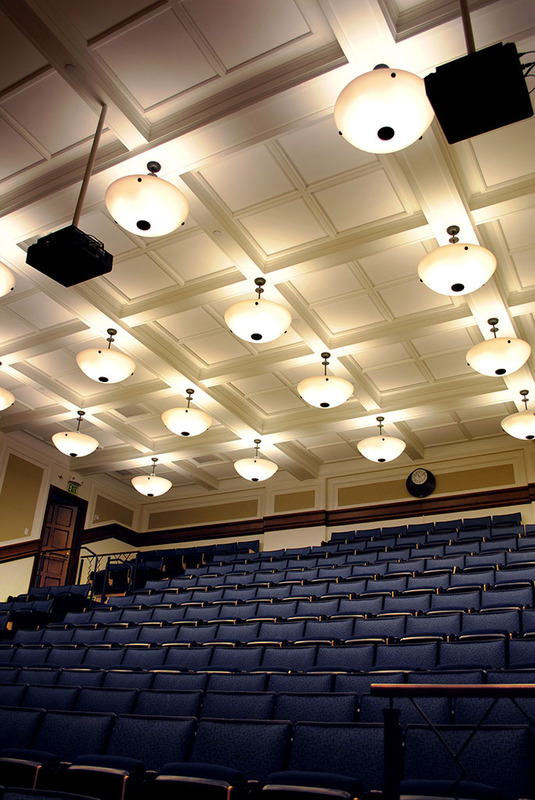 The goal was to renovate the Feynman lecture hall so that it would support the growing technological needs of the professors and students while embracing its historical significance. The first step in the renovation/preservation process was to remove the flooring and install wiring for video projection. Sixty electrical outlets were also installed next to updated, cushioned seating. 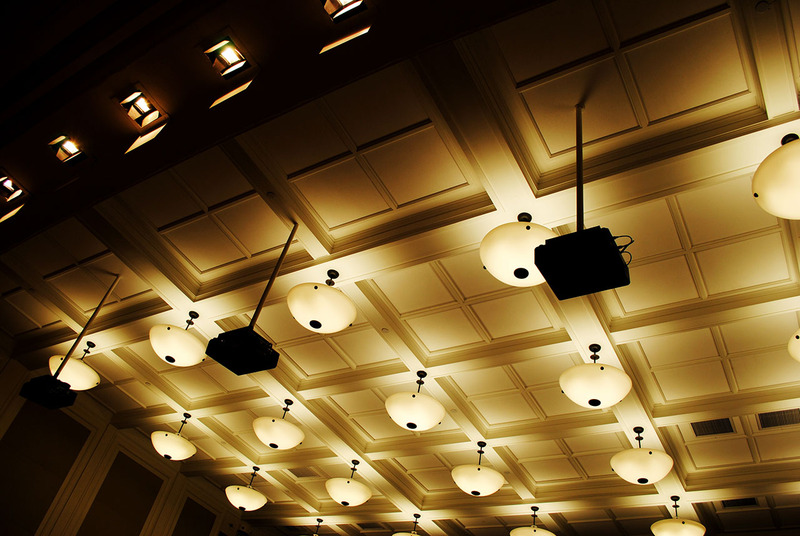 The installation of acoustic panels in the walls helped to soften the sound within the hall, and a reconstructed ceiling with hanging lamps added aesthetic appeal. The hall’s original clay tile and fragile plaster walls were kept intact. Paying homage to famed physicist Feynman, C.W. 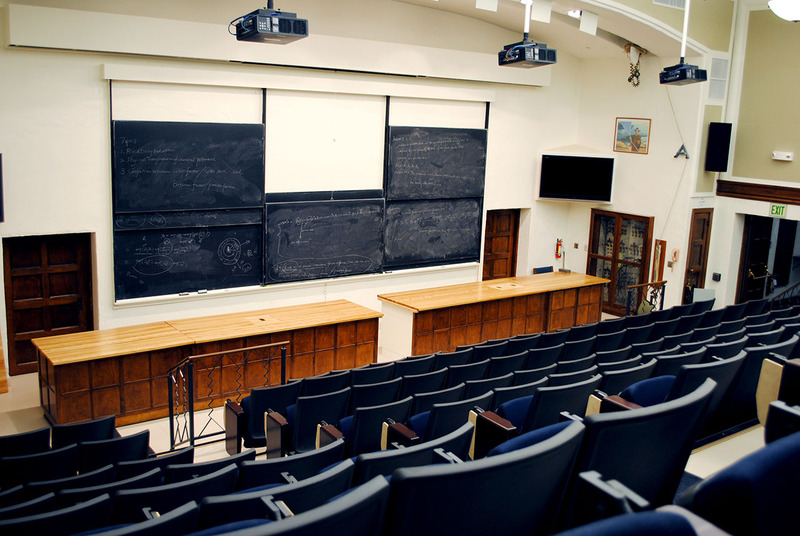 Driver made a concerted effort to preserve the hall’s original chalkboard, which the physicist had used to instruct aspiring scientists and which had hung in the front of the hall for decades. 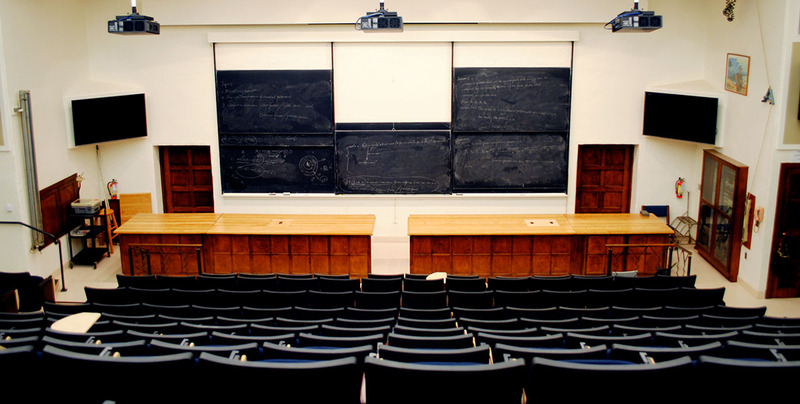 A sturdy plywood cover was built to protect the six-piece chalkboard from damage during the renovation process. 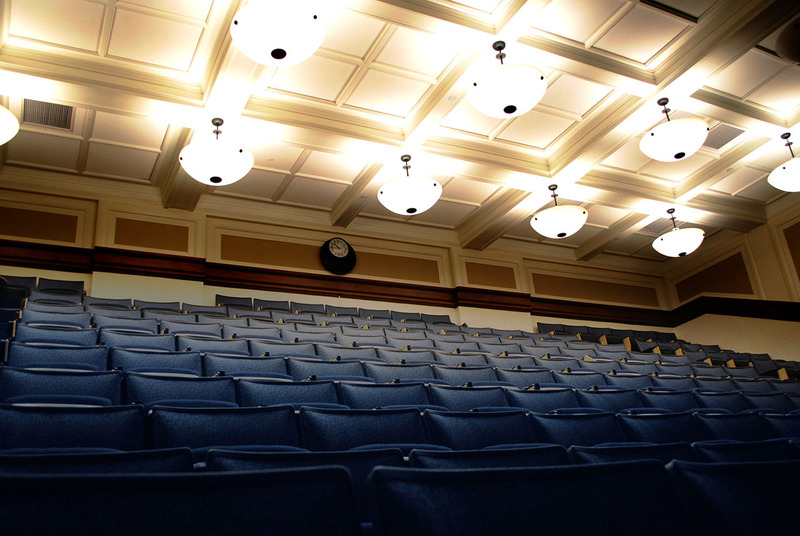 The cover was removed after renovation was complete and is now integrated with the lecture hall’s new updated features and décor. Renovation of the 2,375 sq. ft., 250-seat hall was completed in September 2011. The key to success for this project was preserving Caltech's history while also meeting the changing needs of the research institution and its growing student body, faculty, and researchers. Science and technology have advanced much since Caltech was founded in 1891; so the renovation projects not only took into account the current state of technology and science but also the advances likely to occur. A critical aspect of the multi-phase projects was to limit disturbances during construction that might hinder research projects or lectures—even during demolition. Although construction was scheduled to begin prior to the 2011–2012 academic year, it would continue throughout the duration. To reduce the construction’s impact on the surrounding campus community, work was planned around the faculty members’ schedules to ensure that it would take place during convenient times for not only professors but also students who might be studying or others who may be conducting research at odd hours. Construction would typically begin in the early morning hours, after prior notice had been given, for concurrent construction projects. After completing the Wet Lab located in the basement of the Beckman Institute in December 2011, C.W. Driver began construction on the Arthur Amos Noyes Laboratory of Chemical Physics and a new aerospace lab in January 2012. Completed in March, the Arthur Amos Noyes Laboratory was located next to a laser lab that housed expensive equipment and sensitive research projects, so unobtrusive construction was essential. The aerospace lab encompasses 650 sq. ft., 250 sq. ft. of which are located in the basement of another building. The final phase of the lab was completed in April. Construction for a new 1,100 sq. ft. mechanical engineering laser lab and 3,000 sq. ft. of lab space for new and tenured biology faculty began in February and is projected to be completed in June and July 2012, respectively.